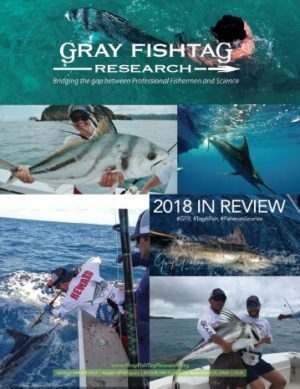 Gray FishTag Research is proud to be working together with prominent fishing organizations sharing the same objectives and goals. Together, we are continuously finding ways to provide information to help us better understand our fisheries and its management while supporting the sport fishing and charter boat fishing industry. 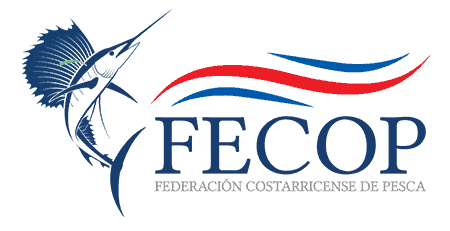 FECO (Federacion Costarricense de Pesca) is a NGO that promotes sport fishing and its social economic benefits to Costa Rica. The staff of FECOP is made up entirely of Costa Rican citizens. In Costa Rica every decision in fisheries must be made with technical support. The science provided to influence these decisions is supplied by Costa Ricans, some of the most respected in the country and elsewhere. Unlike NGOs from outside the country, FECOP has opened the doors to many of the top decision makers in the country and has become respected by the Costa Rican government as the voice of the sport fishing industry in Costa Rica. FECOP assumes this challenge and will work with the sector in the generation of knowledge to benefit both the sport fishing and the fisheries sectors and Costa Rican society as a whole. WHERE WE WORK FECOP has a presence in Costa Rica’s Pacific and Caribbean, and due to the nature of sport fishing, it works both in coastal zones as well as in the exclusive economic zone (Pacific). We work where recreational and commercial fishing has a considerable presence. The central Pacific (Quepos, Puntarenas and Herradura), the southern Pacific (Golfito and Puerto Jiménez), and the northern Pacific (Playas del Coco, Tamarindo and Flamingo). The majority of our members and other fishing sectors, as well as the infrastructure supporting the activity and related services are to be found in these locations. The Guy Harvey Ocean Foundation (GHOF) conducts scientific research and hosts educational programs aimed at conserving the marine environment. The GHOF also funds affiliated researchers working to better understand our ocean ecosystem and educators helping to foster the next era of marine conservationists. The GHOF will help ensure that future generations can enjoy and benefit from a properly balanced ocean ecosystem. April 20, 2016 – Gray FishTag Research is proud to announce the newly established research partnership between the NOAA FISHERIES and Gray FishTag Research tagging program. Get in contact with our science and research team to obtain data gathered through the Gray FishTag Research program. To request information, simply click here and fill in the form and we will get back to you shortly to discuss your request in more detail. All customer catch and tag reports will go directly to the scientific community at no cost. Our science team is working hands on with the distribution of the data coming in from the field as it is collected and entered. We are also proud to be working with the following organizations.